Special Olympics South Africa last month officially launched the #BackOurTeam campaign, a call to all South Africans to get behind the Special Olympics South Africa national team on the “Road to Abu Dhabi” and hip hop superstar AKA heeded the call. 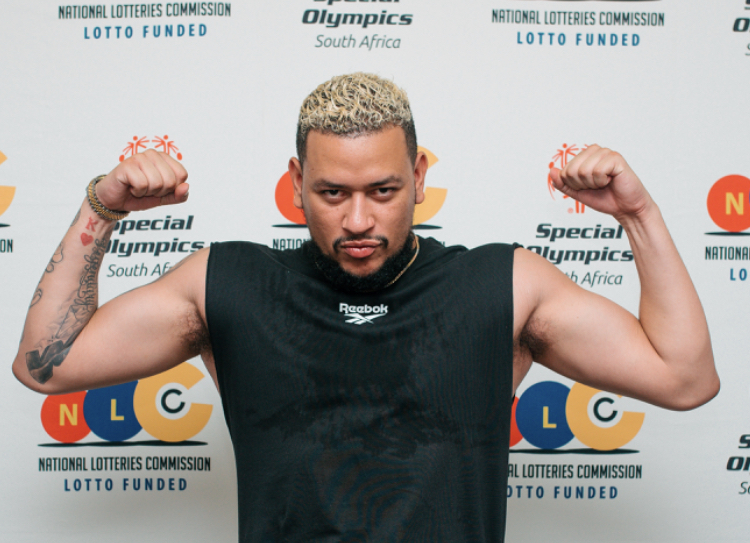 ‘Kiernan Forbes’ better known as AKA yesterday confirmed his ongoing support during a visit to the Special Olympics South Africa offices in Johannesburg. Following previous contributions to the organisation in 2018, the hip hop superstar alongside his mother, Special Olympic ambassador Lynn Forbes committed to fully get behind the organization and adopt an athlete for the World Games this year. His commitment includes financial support of R35 000 for one lucky athlete in addition to Reebok leisure for the athletes. The record number of 70 determined and inspirational participating athletes and Unified Partners, including the highest number of women to ever participate in a Special Olympics World Games, will compete across 11 venues in Abu Dhabi and Dubai, while the build-up to the Games will be a nationwide celebration with the Law Enforcement Torch Run®and the Host Town program take place in all seven emirates of the UAE. Through the “Adopt an athlete campaign”, Special Olympics South Africa are calling on companies and individuals to adopt an athlete for R35 000 to ensure our athletes have the opportunity to compete with pride and are well equipped amongst the 7500 athletes attending.